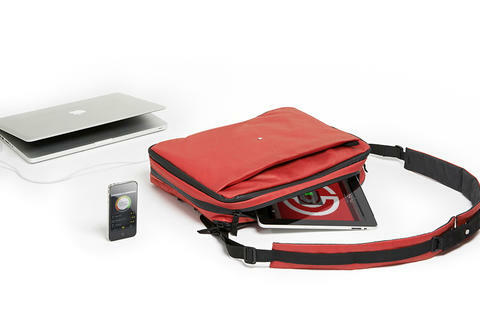 Hey you, stop menacingly hovering over that guy posted up at the public power outlet for a second and check out these Phorce Bags, whose integrated, lightweight batteries are capable of juicing a MacBook and three additional USB devices all at the same time. Packing enough energy to recharge an iPhone eight times over, said water-resistant, multi-pocketed carry-alls can transform from a messenger, to a briefcase, to a backpack thanks to a unique strap system. What's more, they can sync with your smartphone to alert you if you accidentally leave your bag behind, making them smarter than most children.